Home / news / politics / Restructuring: El-rufai Tells Igbos, Others - "You Can’t Treat Unequals Equally"
Restructuring: El-rufai Tells Igbos, Others - "You Can’t Treat Unequals Equally"
The kind of controversy Kaduna State Governor, El-Rufai is creating is very very disheartening and alarming. 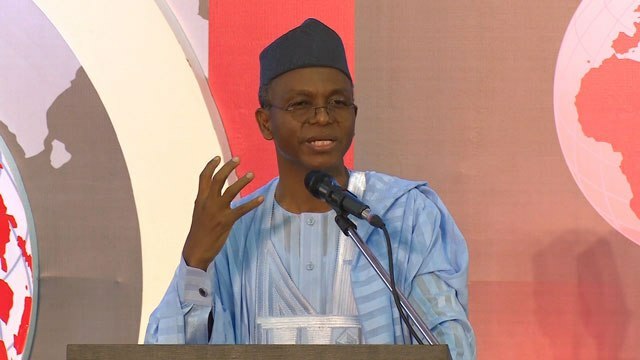 The Kaduna State governor and chairman of ruling All Progressives Congress, APC, Committee on True Federalism, Mallam Nasir El-Rufai, has declared that it would be a grave injustice to agitate for “equal unequals”. “The greatest injustice is trying to make equals unequal and unequals equal; things are not done like that. What do I mean by that? There are those who have said that Nigeria and United States are the same. “The representatives of the agitators are few in number and so the majority must always win. The president of the country exists, the Senate exists and there are 36 states of the federation. ‘’We the old ones are still here, some of us are good, some are bad, like the youths but you must learn to live with us because we are still here. I can't fathom the wisdom in making Kaduna State Governor the Chairman of restructuring committee if not that the whole restructuring thing is simple dead on arrival. If not, how can one make this kind of man, known for his hatred for the non Muslims, Southerners and East? This man is a bigot for god sake. Why can't Nigeria do things truthfully and selflessly? There is practically no different between him, Jubrin and Buhari himself.